It’s almost that time of year when the whole family gathers around for the traditional Christmas meal. Give your family an extra special gift this year by making one of these delicious sweets or snacks. These little tarts may sound like an odd combination, but they are a delicious appetizer for your main course. The cheese with asparagus gives this little treat a unique, savoury taste. This is a simple recipe for the cook on-the-go. All it takes is just three ingredients: brie, cranberries, and mini fillo shells. Of course, you can swap out the ingredients to make it your own. For example, try using flavoured goat cheese or Camembert instead of brie. With a few greens on the plate, this can even be a meal. This is the easiest recipe on this list, but it’s just as impactful. If you are pressed for time, then just take some large marshmallows, dip them into a chocolate fondue and then let it cool in the fridge. If you want to be more creative there are several ways you can add to the recipe. Sweet, sharp and tangy, cranberries are one of the most sought after foods during Christmas. These treats also come with the richness of dark chocolate, a crunch of pistachios and a hint of clementine. Enjoyed by both adults and children, these truffles are desserts that you can’t afford to pass up. Great for dipping, these snacks are easy and fun to make. They are perfect if you want an addition to your meal that’s light, but has a crunch. Are you sick of sweets? Then make this salty, spicy, garlicy snack for your family. Like the parmesan puff pastry straws, garlic bread fries are excellent for dipping. Have some tangy marinara sauce on the side, and this snack is ready to go. For the ones who love salty and spicy food, can try garlicky bread sticks with the tangy marinara sauce. Made in 20 minutes approximately, these bread sticks are too tempting to be resisted. This is a spread for a family who are fans of tangy flavours. The spread can be made with sun-dried tomatoes, sautéed mushrooms or caramelized onions. The serve it with crackers, red bell pepper strips, toasted French bread slices and baby carrots for a delicious Christmas snack. 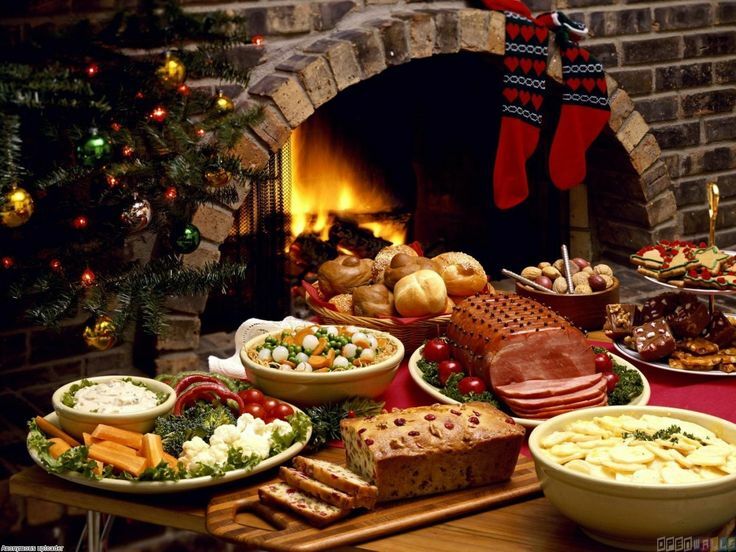 While you’re cooking Christmas dinner for your family, keep these sweets and snacks in mind. Most of them are easy to make, and they’ll all add to the enjoyment of everyone at the table.